Why use WordPress? WordPress is by far, the most popular and easiest Content Management System and blogging tool. It’s the easiest and best way to create your own website! Almost 75 million websites use the software to date. WordPress is free to install, deploy, and upgrade. And if that introduction wasn’t enough, then there’s plenty of more reasons to share. WordPress isn’t just a website creation tool, its flexibility and adaptation are a warm-up to what it has to offer. As time passes, millions of people grow more and more interested in starting their own website. WordPress has become the true friendly neighbourhood for almost all upcoming websites. You could be a normal blogger or someone who wants to start a business on a website. Either way, the stats rule WordPress to likely be the best Content Management System for you. So, why use WordPress? Read this article from start to finish to know exactly why. Why use WordPress? WordPress is a free content management system that anyone can use or modify. A content management system is a tool that makes it easy to manage important aspects of your website, like content, without needing to know anything about programming. WordPress is famous for being the most popular blogging tool, and the most popular and easy way to create your own website. It’s also famous for being a great way to create an eCommerce store. With WordPress, you can create business websites, blogs, portfolios, eCommerce stores and much more. Most of the time, when people say “WordPress,” they mean the self-hosted WordPress that you can find at WordPress.org. WordPress.org is a self-hosted version where you have more control of your site and can take advantage of advanced plugins. If you’re looking for the best way to create a website, WordPress.org is your best option. If you want to truly own your website, self-hosted WordPress.org is almost always the best option. All you need to do to get started with self-hosted WordPress is purchase web hosting and a domain name. On the other hand, WordPress.com is a paid service that doesn’t offer as much flexibility. WordPress.com works great for complete beginners, but it’s not the best for a business that plans on making money. WordPress.com has higher paid plans, and it works well for personal and private blogs. Nearly 30% of all websites use WordPress. Why use WordPress? Well, individuals, big businesses, and everyone else in between use WordPress. In fact, WordPress is powering the website that you’re viewing right now. Moreover, there are some notable examples of famous websites that use WordPress, such as The Obama Foundation, and Angry Birds. WordPress doesn’t charge extra as your site starts getting more traffic. In addition, WordPress is also an open source, meaning that you can change or improve its source code to customize your site’s looks or functions to your liking. Why use WordPress? Well, using WordPress doesn’t cost anything. However, although WordPress is free, you will most likely end up spending a bit of money. Reason being, WordPress is self-hosted, and therefore, hosting is required. As a result, hosting can cost around $3 per month for really cheap shared servers, and if you need needing ultimate and performance, it can cost as much as a few hundred per month. When it comes to managed-WordPress hosting companies, they handle the entire installation, maintenance, security, and backups down the road. However, you can surely keep your WordPress costs to a minimum. Many users end up only paying for hosting. Furthermore, all hosting companies generally provide one-click installation of WordPress. Many WordPress users end up paying for more services from freelancers or agencies. For example, you might pay a freelancer to design a logo for you or adjust some of the CSS code on your site. However, that decision depends on your experience and the scale of your website. Why use WordPress? Today, WordPress is more than a blog-publishing platform. It has a lot of versatility, and due to its flexible framework, you have the freedom to create any type of website that you want. As a result, that free will allows designers and developers to create and modify layouts and applications. The adaptability of WordPress can’t be taken for granted. It’s flexible enough to accommodate all your needs through its diverse extensions and plugins. There would be very little to no trouble on WordPress should you decide to switch hosting providers. About every web-host offers WordPress as a Content Management System. Therefore, there isn’t a threat when you move from one server to another. As for updates, WordPress provides an automatic updater for security purposes. Therefore, the software notifies you when new updates are available for plugins. Remember, WordPress has a high-security standard. WordPress provides regular updates that protect you from any hacking attempts. Therefore, having an updated WordPress will be your first line of defence. As a result, you wouldn’t need to go back to the download page every time a new WordPress version is released. Instead, WordPress lets you know about the update in the dashboard. Update WordPress with its recent version. Use basic security tools, such as WP Security & Firewall And Wordfence Security. Download plugins from WordPress.org only. Check plugin rating and no. of downloads. Download plugins from trusted sources. Use a premium theme. Free themes may contain malicious codes and encrypted links. Why use WordPress? Well, there are more than 50,000 WordPress plugins, such as slideshows, contact forms, SEO, and much more. You can find themes and plugins that are for free. However, paid plugins and themes are the ones that often provide better features and quality support. You can change up the look of your site via any of the free or premium themes available, either through WordPress or on third-party sites. You may also need to search the Internet for the best plugins that your theme may need. Several plugins are available if you already have a nice theme picked out, that doesn’t have functionality. Giving your website a professional and refreshing appearance keeps your company attractive in the eyes and minds of your customers. WooCommerce is one of the main ways by which you can turn your regular WordPress website into a functioning online store, with payment processing, a shopping cart, and product galleries. There are also plenty of other eCommerce plugins like Easy Digital Downloads and WP E-commerce. Why Use WordPress for Blogging? Why use WordPress for blogging? Well, WordPress is the world’s most popular blogging software for being one of the cleanest and fastest ways to write and publish blog posts. Remember, WordPress was born as a blogging platform. No competitor that is present compares to the power, elegance, and set of advanced tools that you can find in the WordPress blogging engine. In short, WordPress is where the pros go. The software provides the necessary tools for SEO (Search Engine Optimization) and contains almost all the tools that a writer would need to write a professional article or blog. 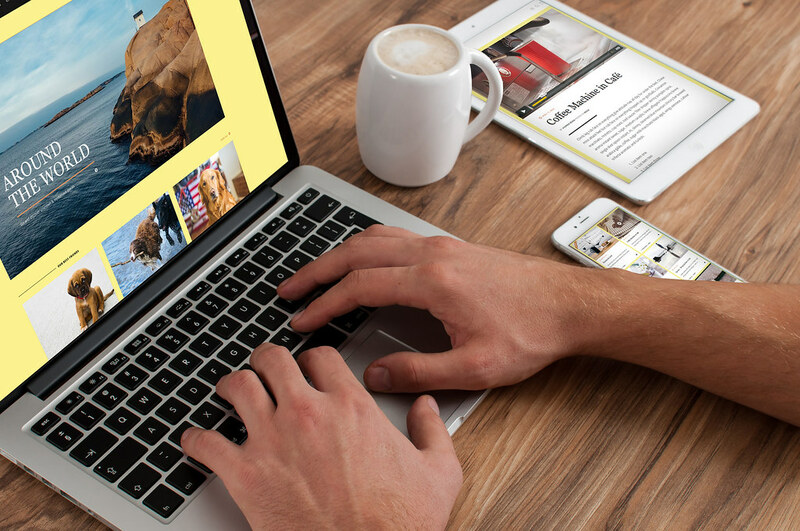 Using WordPress, you can build an online magazine by scheduling posts in advance. In addition, you can enjoy the options available for previewing and editing everything in those posts. SEO (Search Engine Optimization) is the practice of increasing the quantity and quality of traffic to your website through search engine results. The WordPress blogging platform has SEO built into it. Why use WordPress for blogging? WordPress automatically generates title tags and meta descriptions for all of your pages and posts. As a result, search engines start to know about your content. And that will, in turn, get you indexed and higher ranking in search engines, such as Google. There are some SEO tools to consider, such as Schema, Broken Link Checker, and Rel Nofollow Checkbox. Furthermore, the Yoast SEO plugin is a must-have for any WordPress site. Why use WordPress for blogging? Through blog posts in WordPress, you can easily contact private advertisers and increase your potential to make money. Moreover, many ad networks like Google AdSense and PropellerAds have launched dedicated plugins for WordPress blogs. In addition, using WordPress, you can create an eCommerce site and have a blog alongside it, acting as an integral part of the development process. The WordPress blogging platform includes permissions or user roles. If you’re an administrator in the website, you would have access to all the files, plugins, SEO tools and security tools. You hire an editor to edit and manage the blog posts, and writers to create content for the blog. However, you could be having trouble with your writers for messing around with other matters. Therefore, you can set the content manager as an editor and the writers as contributors. As a result, the editor can now edit and publish posts, while the contributors can only create posts. Why use WordPress for blogging? Well, look at how organized and practical it is. You can add media and change formatting with the click of a button. You have the ability to change the title and permalink of your post. There are also options for categories and tags. You can view your revisions, which are at the bottom. The preview and publish buttons are there for you until you finish your post. Websites, such as forums and eCommerce stores, are able to function with the help of simple plugins and themes. Therefore, if you wanted to create a portfolio website, you can pick whichever theme that fits the function of such. Membership websites, such as Udemy. Why use WordPress? Anyone can use WordPress effectively. The software has no limits, either by pricing, customer support, or skill level. However, there are surely plenty of things to learn about WordPress to use it even better. Most of the user-interface components are easy to use. Furthermore, you are able to find manuals which are available for learning of WordPress functions. In addition, you can use WordPress anywhere! if you have the WordPress app on your smartphone or tablet, you can publish your post from anywhere and at any time. Moreover, WordPress allows you to schedule the posts that you’re planning to publish in advance. This way, you can write all your content at once, and have it published at specific times of the day, throughout the week. Why use WordPress? Well, with WordPress, you can start creating and publishing blogs and pages, and making custom configurations without any coding whatsoever. You can customize colours, design, and features of a WordPress theme. It doesn’t matter if you are a developer or not, you don’t need code to customize your website. All the settings are present in a control panel under the WP dashboard. The dashboard is very user-friendly, and its simple interface makes it easy to customize most of the elements of your website. 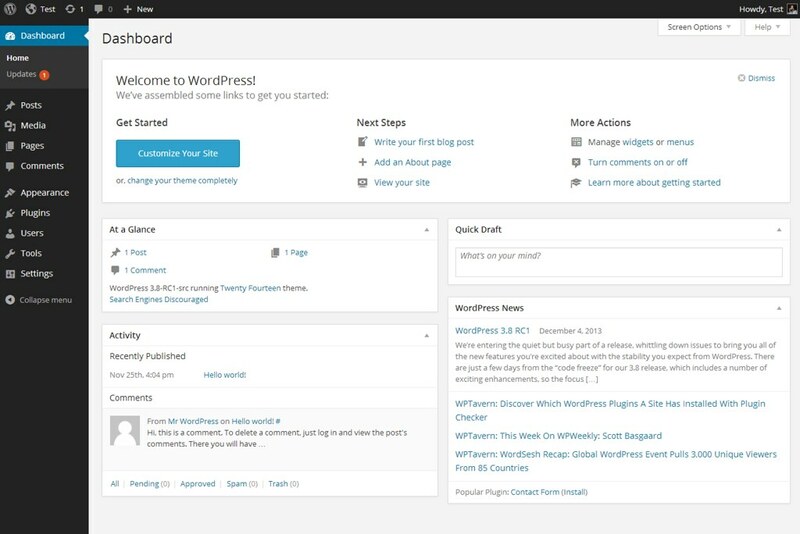 The appearance tab is the control centre for all customizations in WordPress. 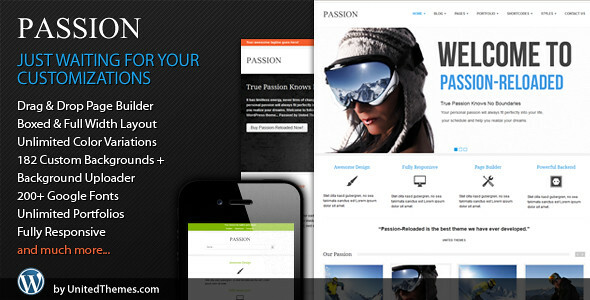 It’s where you have full control over themes, fonts, colours, widgets, menus, logos, and code. It’s great for beginners, intermediates, and advanced users. Alternatively, if you are a coding expert, you can also customize a theme by editing its codes. Why use WordPress? Well, website builders like WIX, Squarespace and Shopify aren’t open-source. That means that they limit your control over the features of your website. WordPress is always going to be on top of the list of website builders. With WordPress, you have complete ownership of your files, and no one can prevent you from moving them to other hosts. Technically, you don’t have full ownership of your site and content. You’re basically renting the website from these companies. As a result, if you decide to stop paying, all of your files and pages are either lost or held by the company. The eCommerce functionality is usually built-in. Therefore, there’s not much you can do if you want to expand with plugins. You’re stuck with whatever provider that is hosting you. Therefore, you don’t have the freedom to test hosts or go with the higher-performing ones. You don’t have the freedom to adjust code, as you are stuck with what the companies share with you. Moreover, you can get stuck with a completely unique coding language, like with Shopify, which uses a language called Liquid. In short, this forces you to hire a specialized developer for changes that you can’t handle yourself. Why use WordPress? WordPress supports the insertion of images, video, audio in blog posts. You can easily add a high-resolution image or video to support your text. In addition, you can edit any files easily. For more information, check the list of accepted file types for WordPress. However, there are certain primary categories that WordPress allows and they are images, documents, audio and video. Super Admin, this person has total access to website features. Administrator, this person has access to administration features. Editor, this person can publish posts and approve or remove the posts of others users. Author, this person can manage and publish posts. Contributor, this person can manage and write posts but must rely on an administrator for approval. Subscriber, this person can view and edit their own profile. Why use WordPress? As a website owner, your tasks only fall down to updating plugins, themes, and WordPress itself. When it comes to updates, WordPress notifies you if there are new updates. WordPress manages most of the technical aspects of your website, either by plugins or by the software itself. Therefore, there could be certain things that you have to do on your own. For example, if you want to increase your website’s speed, you would need to install a caching plugin. Also, the same goes for SEO. For instance, the Akismet plugin manages your spam. Furthermore, there are also other plugins that deal with broken links. Making sure the server is okay. Updating plugins, themes, and the WordPress software. Testing for functionality and broken links. Making improvements in speed and SEO. Why use WordPress? When it comes to customer support, WordPress offers official customer support, along with a dedicated support that you have to pay money for. If paying doesn’t suit you, you can learn as much as you can from the WordPress forums. There are so many resources that you can learn from, about WordPress. You may be following a blog like this to gain information about the software, while receiving WordPress tips in your email, through our newsletter. You can also search Google to locate fast solutions to your problems. Note that, WPBeginner works well for quick fixes. The primary WordPress support forum should do the trick for most of your development situations. The WordPress community assists you with two parts of your learning process: organized training for long-term knowledge and quick solutions to your WordPress problems. Why use WordPress? Well, you can get training for WordPress, which you can get for free or for a charge. Moreover, there are courses online that are well-organized, affordable, that offer a ton of information, and that you can share with others. For example, there is a known training website called WP101 that offers training for WordPress. The website provides great video courses on topics, such as WooCommerce and the Yoast plugin. Multisite is a WordPress feature that allows users to create a network of sites on a single WordPress installation. The WordPress multisite project was discontinued and its features were included in the WordPress core. It’s possible to run a network of multiple WordPress blogs and websites from a single WordPress installation. You can have a network of subdomains like http://tony.example.com or directories like http://www.example.com/tony/. You can open up your WordPress multisite network for other users to create an account and get their own WordPress blogs. As a super admin, you can install themes and plugins and make them available to all other sites on the network. However, other site admins on the network will not have the capability to install themes or plugins. As a super admin, you can make changes to themes for all websites. However, website admins can’t make changes to their themes. Why Use Drupal Instead of WordPress? Why use Drupal instead of WordPress? Well, if all of the above insights about WordPress weren’t appealing enough, let’s talk about an alternative for WordPress, Drupal. Although Drupal is more complex than WordPress, it offers more to the customer, depending on what your needs are. Drupal has more features, however, if you don’t the way to use them, they can be very confusing to you. Drupal contains taxonomies, content types, blocks, views, and more. If you need multiple page templates, Drupal has more equipment to handle your needs. Drupal’s user permissions are also more advanced than WordPress, as it’s able to support multiple site stakeholders. The majority of Drupal is designed for custom development. Drupal’s version of plugins is called modules. Modules are free and contain many of the same contents as WordPress plugins. However, in WordPress, plugins are easier to use and handle, while in Drupal, you’ll need a developer to install or update your modules. Drupal can handle really large volumes of content. It can support thousands of pages and thousands of users. Updates in Drupal 8 have also been a leading reason for the improvement of its page performance. That includes its caching feature, which helps pages load faster. Remember, Drupal isn’t hard to use, but hard to learn. It requires more technical experience than WordPress, but it’s capable of producing more advanced sites. However, if you aren’t a web developer, WordPress is the best choice for you. Keep in mind, the release of Drupal 8 continues to make the platform easier to use for non-developers. Why use Drupal instead of WordPress? Well, security is one of the biggest differences between Drupal and WordPress. Drupal provides high-level security and in-depth reports. As a result, governments, such as whitehouse.gov use Drupal. However, it’s important to note that Drupal 6 may have security vulnerabilities as a result of the attention given to the development of Drupal 8. Therefore, the best way to avoid any security problems is to upgrade your site from Drupal 6 to Drupal 8 as soon as you can.